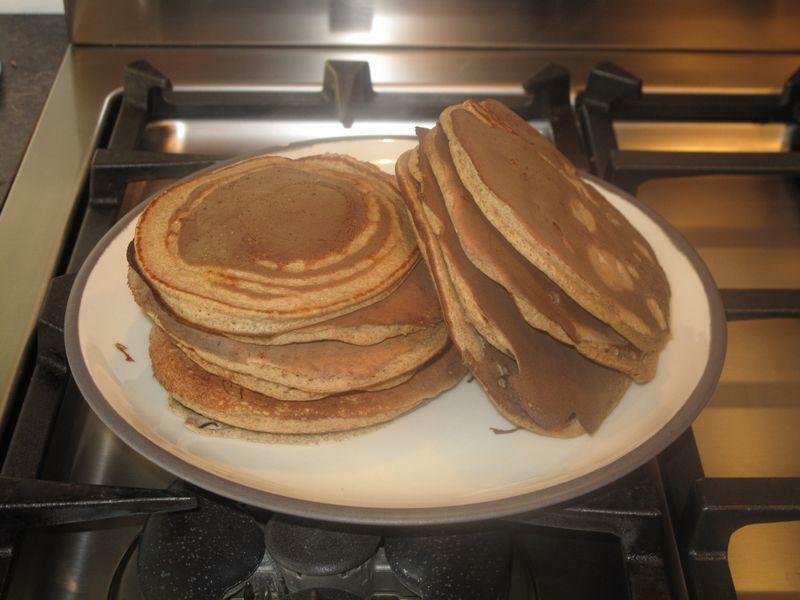 Out of my quest to eat clean came these yummy, dairy-free, gluten free, downright good Pancakes. They passed the “man” test. You will need a high powered blender such as the Vita-Mix. Guaranteed to start your day clean. Just don’t go adding any syrup……you banana! The longer you let it sit, the thicker it will get.